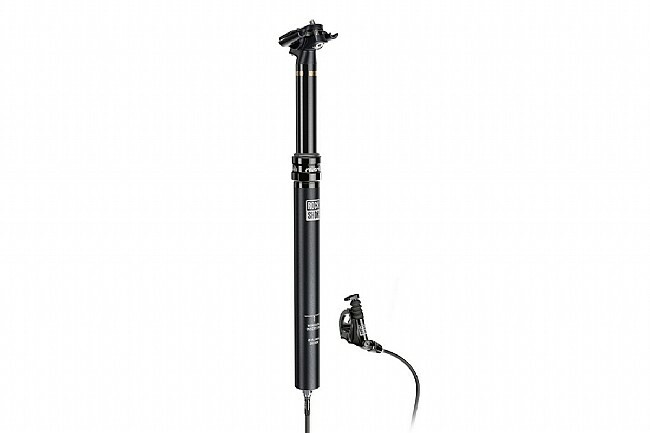 The RockShox Reverb Stealth B1 Dropper Seatpost makes massive improvements over the previous generation Reverb, completely redesigning the internals for better performance and durability. Every detail and every seal has been re-evaluated to this end, resulting in increased bushing overlap for a sturdier interface, and a new internal floating piston designed in collaboration with SKF to better prevent any oil leaks for longer lasting performance. As before, return speed is adjustable from the bar-mounted remote, but the Reverb B1's maximum setting has been made faster for improved performance and personalization. Available in multiple diameter and travel options. Includes right-handed remote. Left-handed remote option available here. Claimed weight is 560g (340mm post, 30.9mm diameter, 100mm travel, including remote and hose). This is internally routed(non routed option is available). The plunger and actuation is butter smooth. I've heard stories of issues but I've never had a single issue. Flushed the system after close to 2 years of riding.